County numbers via this NYSERDA pdf. The counties are color coded according to five ascending groups of solar capacity -- the deeper the yellow, the more installed capacity. Again, the counties are color coded according to five ascending groups of solar capacity -- the deeper the yellow, the higher the per capita capacity. The solar industry -- both large-scale and residential projects -- has been booming in the last few years as the price of solar panels has dropped sharply, government incentives have continued to help with the price, and new companies have options such as leasing. 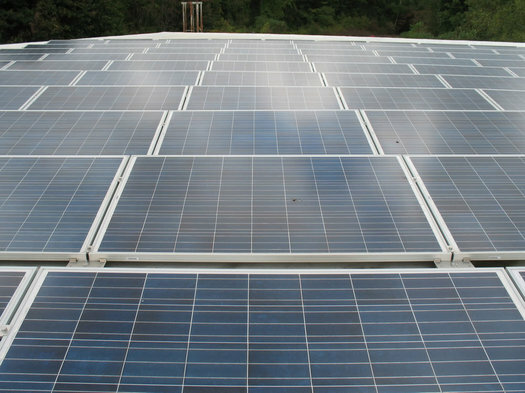 Here's a link to the New York State's solar incentive program. Also, as mentioned, there are some cooperatives here in the Capital Region that are helping homeowners buy solar systems. 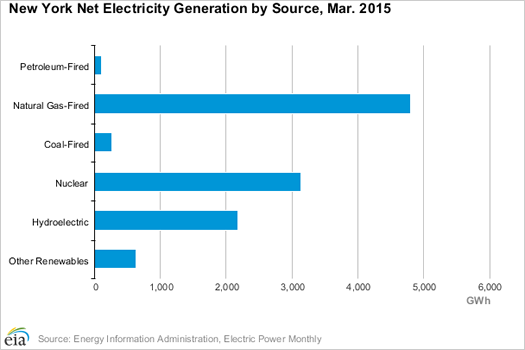 Even with the boom in solar, New York State still gets a very large majority of its electricity from natural gas, nuclear, and hydroelectric. But that's up almost 25 percent compared to the same period last year. So, if this is some sort of longterm shift toward solar, it's the very beginning of the trend. And it could be very interesting. There's the potential to produce electricity with much less of a carbon footprint, of course. But the widespread adoption of solar -- on houses, on buildings, on solar farms on actual farms, wherever -- along with the rollout of large batteries for homes (like the one Tesla is making) points to a future in which power generation is much more distributed than it is now. And that could shake up the utility picture considerably as traditional power suppliers face potentially large decreases in demand (yet still have to support much of the grid infrastructure). So the future on this front could be a lot different than now. + Residential rooftop solar options? Don't believe the hype. Until we get to the next level of performance, the PVs installed on rooftops and as unsightly ground barriers are just a novelty that snake oil salesmen are hawking. Schools, municipal buildings and large consumers of electricity still get a better discounted rate from National Grid than they could ever achieve through solar integration, and after all, it is the economic driver that is going be the catalyst to a paradigm shift in energy production, not the good feeling we get by reducing our carbon footprint. special thanks to the not-for-profit and volunteer SOLARIZIE groups for their educational and group-purchase efforts!